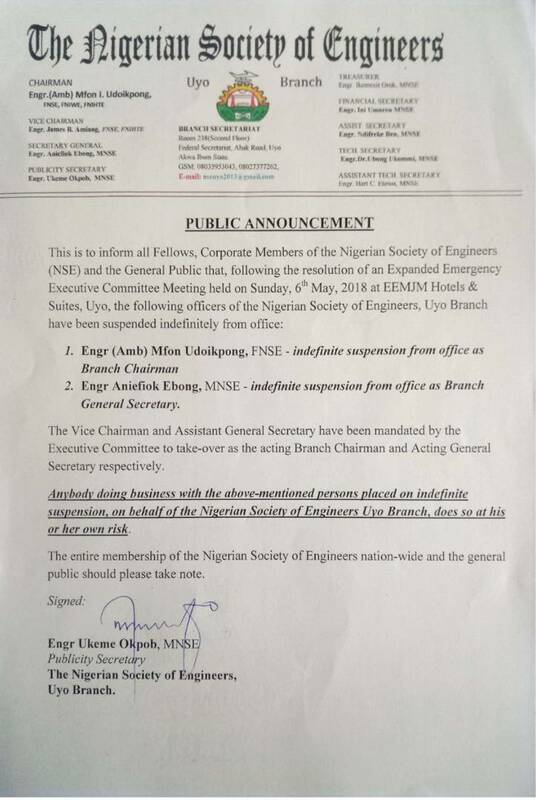 The Nigerian Society of Engineers, Uyo Branch, has suspended its Chairman, Engr. 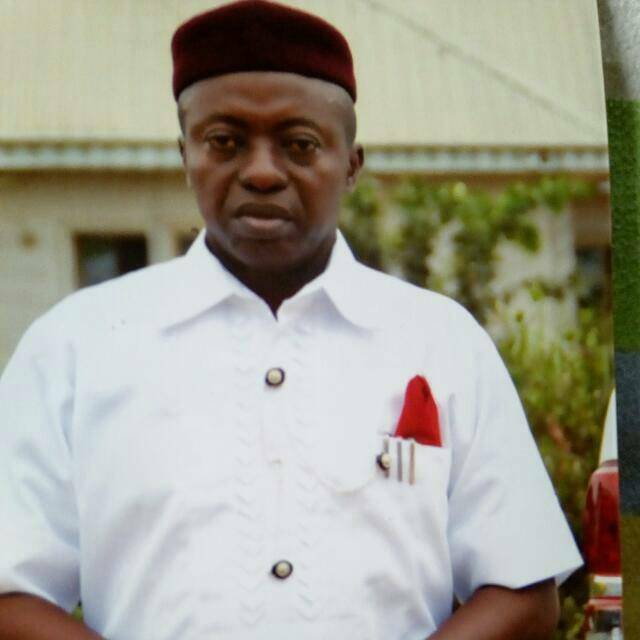 (Amb) Mfon Udoikpong, FNSE and Engr. Aniefiok Ebong, MNSE, as Branch General Secretary. A Statement signed by the Publicity Secretary, Engr. Ukeme Okpob, MNSE, notes that the resolution for the suspension came at the end of the Body’s Expanded Emergency Executive Committee Meeting, held last Sunday, May 6, 2018, at Eemjm Hotels and Suites, Uyo. The Statement further notes that the Vice Chairman and Assistant Secretary have been mandated by the Executive Committee to resume duties as Acting Branch Chairman and Acting General Secretary, respectively. It also warns that anyone doing business with the affected persons on behalf of the body does so, at his or her own risk. No reason has however been given for the indefinite suspension.